This is a Sponsored post written by me on behalf of Advanced American Telephones. All opinions are 100% mine. Being a tech reviewer, I’m always ahead of the curve when it comes to tech. Years ago, I dumped my old landline home phone service in favor of having VoIP and a cellphone, and haven’t really looked back since. Of course, when I dumped my landline phones along with my landlines back in the day, they weren’t nearly as advanced as they have become now. We’ve practically seen it in a number of markets from headsets to cars to everything inbetween. Products are becoming a whole lot more versatile than the one trick ponies they’ve been in the past, and being able to interface with mobile devices is becoming more and more of a necessity than a feature. The AT&T CLP99383, one of AT&T’s latest cordless phones is one such product that’s in a category of products that’ve traditionally been one of those one trick ponies that’s also beginning to follow this trend. 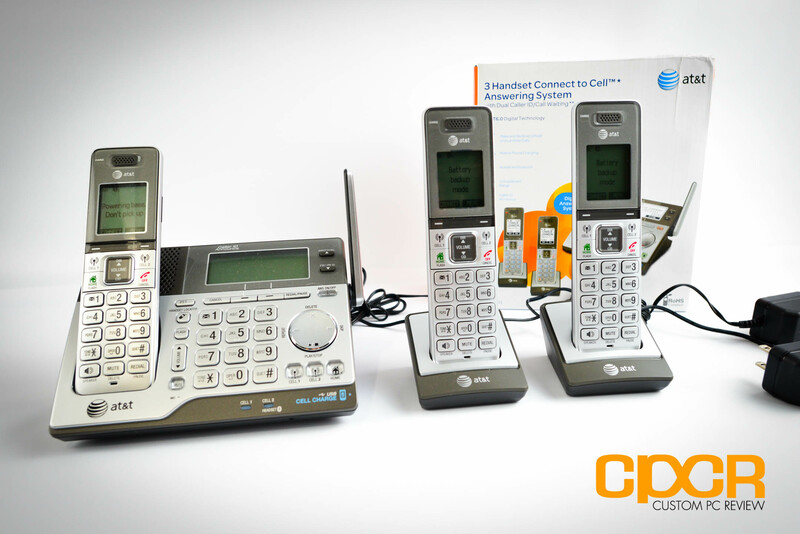 I think the AT&T CLP99383 is best described as a modern cordless phone system. Included in the packaging you get a base station along with three handsets with the option of adding up to 12 handsets in total. Along with support for a traditional phone or VoIP line, you also get the ability to pair up to two mobile phones via Bluetooth which pretty much guarantees you won’t miss a call even if your mobile phone in in one room and you’re watching TV in another. The AT&T CLP99383 is pretty similar to your traditional cordless phone system and if you’ve paired your phone to any Bluetooth accessory, it shouldn’t be too difficult to setup the CLP99383. Standard home/VoIP phone operation simply requires you to plug in the power and the phone jack. Then simply take each handset and drop it on the base station for pairing. Once that’s done (or you can skip that altogether if you don’t have any sort of landline/VoIP), you can go ahead and pair up to two mobile phones. Personally I only had one phone on hand, so I paired up my iPhone 5. The iPhone 5 worked very well with the CLP99383 and I was able to download my entire phonebook right into the CLP99383 via Bluetooth. While I only had around 230 contacts in my phonebook, the CLP99383 is capable of storing up to 6,000 phonebook entries in the handsets. 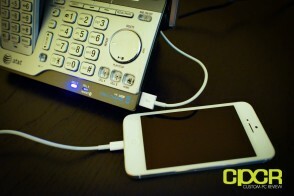 Additionally, the CLP99383 also features a USB port for charging your phone as well although it’s a bummer that there’s only one USB port considering the phone supports up to two mobile phones. 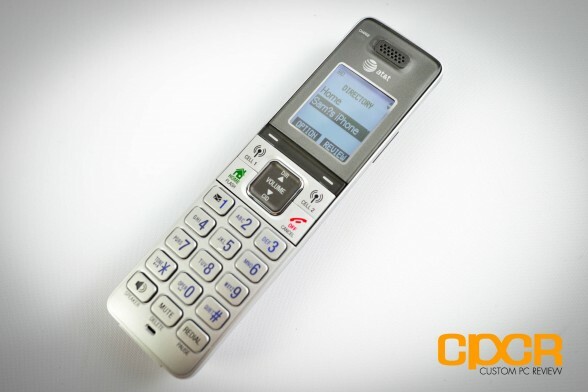 When a call comes in either landline or mobile phone, the CLP99383 handsets will display which device you’re getting called from, caller ID information, and if you choose, it’ll also announce the caller ID so you know exactly who’s calling you and if it’s on a mobile or landline. Those with Android phones will also be able to setup notifications as well for texts, e-mails, or social media. Handsets will alert you as soon as a message is received. From my testing, I didn’t find many issues with the CLP99383 although one thing I’d really like to see on the CLP99383 is some beltclips for the handsets. It makes carrying the handsets around much easier when in the yard or in the garage. Additionally, I think the LCD/menu system could use a bit of work as well. Bluetooth and USB charging are all modern features, but once you go into the tacky black and white menu, it’s like you’re back in ’90’s again. Oh, and speaking of the ’90’s, what’s with the naming scheme? CLP99383 somehow just doesn’t sound like a name you’d remember. After spending about a week with the CLP99383, I’d have to say that it’s definitely a huge upgrade from my previous Panasonic KX-TG6323 phone system. With the CLP99383, I’m able to leave my iPhone in the office upstairs while cooking or watching TV downstairs and still be able to pickup every call I get. Additionally, the CLP99383 also has a pretty cool paging system as well that allows you to page either a single handset or every handset. 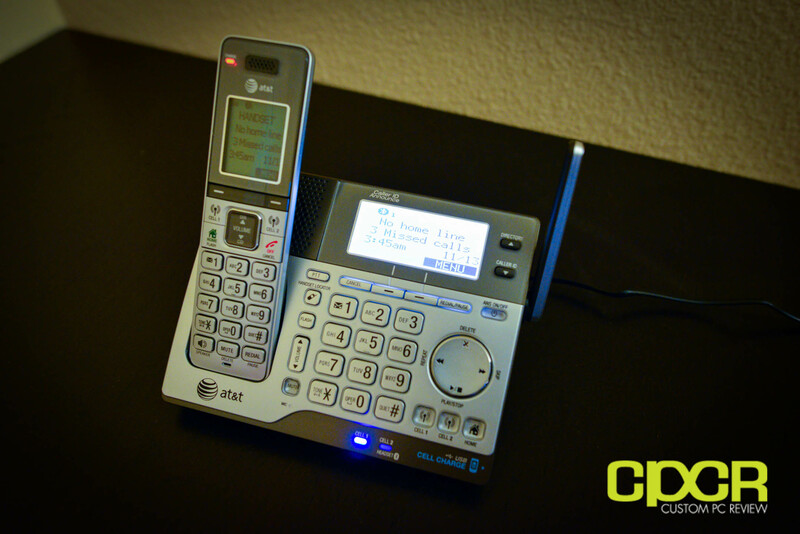 Overall, I’d have to say the AT&T CLP99383 is a great phone system for those in the market for a new cordless home phone. It’s easy to use, easy to setup, and it simply works. Especially for those living in larger houses where it’s impractical to carry a mobile phone around everywhere, the CLP99383 can ensure that you never miss a call simply because you didn’t hear it ring.